Using sponge daubers and ink pads, the stars have come out. Yet another pattern in the Irresistibly Yours Specialty DSP. 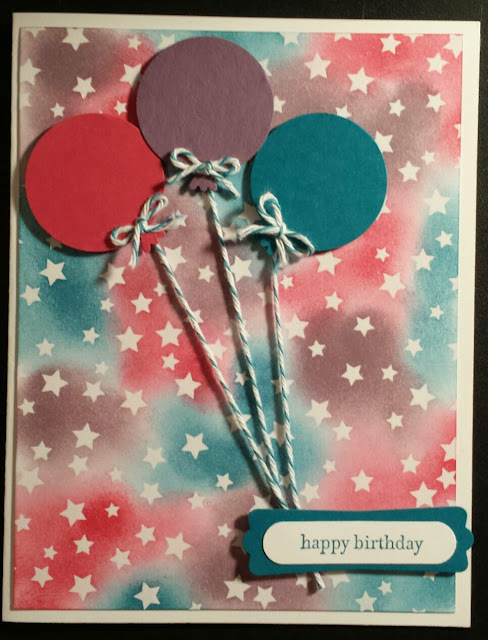 I used the 1 1/4" punch to punch the balloons. I really like the color combination of Rose Red, Perfect Plum, and Island Indigo for this card.